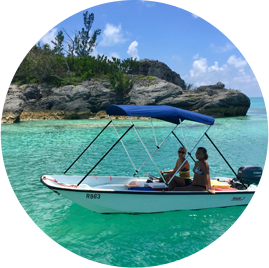 Explore Bermuda's beautiful waters with your very own Pontoon Boat Rental! Available from Dockyard as a self-drive, or for additional fee captain hire is available. Private arrangements allow you to choose an itinerary geared toward your own interests, convenience and flexibility. 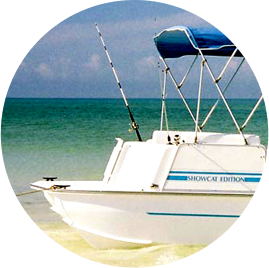 Explore Bermuda's beautiful waters with your very own Self Drive Boston Whaler Rental! Private arrangements allow you to choose an itinerary geared toward your own interests, convenience and flexibility. Maximize your time with this great combination tour and take a leisurely bike ride along the 'Old Bermuda Railway Trail', enjoying spectacular scenery. Follow your ride with a refreshing dip in the ocean! Explore Bermuda's rural west end by kayak, paddling through the breathtaking Ely's harbor! Keep an eye out for coastal crustaceans and national birds or peak over into the crystal clear waters and spot corals and fish. Dive into the Shipwreck Capital of the Atlantic! This 2 Tank Certified Dive will have you exploring Bermuda's historic shipwrecks and some of the most northernmost coral reef in the world. 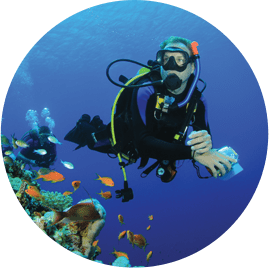 Come give SCUBA Diving a try and experience the thrill of breathing underwater - no certification necessary! Share the water with our beautiful reef fish and enjoy some beach time too! This tour will take you snorkeling and beyond by combining the ease of snorkeling with the excitement of diving. 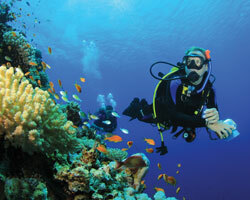 So take the plunge into our underwater paradise and experience an abundance of fish! Enjoy a coastal sightseeing cruise around the many islands once known as the Devils Isles. Your power catamaran will anchor at an island hideaway, so jump in and swim, snorkel, kayak or paddleboard the nearby reefs! Make friends with a local 'Rumologist' aboard this sunset crusie through tranquil bays. Savour more than the beautiul sights, and get a real taste of Bermuda's rums, liqueur and delicious rum cake! Observe the incredible Humpack Whales on their migration past Bermuda! Get up close to these awe inspiring creatures and see them frolic on the surface and occasionally leap into the air. Visit Island Outfitters in Dockyard after your tour and receive 10% Discount on Whale Tees with proof of Whale Watching ticket!